Custom Orthotics - Mississauga Chiropractor and Physiotherapy Clinic - FREE Consult! Our Custom Orthotics (inserts, shoes and sandals) are constructed specifically to correct abnormalities in your foot mechanics. At Canadian Muscle and Joint Clinic, we offer the highest quality precision custom-made orthotic medical appliances for maximum support and function. How do Custom Prescription Orthotics work? Our prescription orthotics look like insoles, but are biomechanical medical appliances that are custom-made to correct your specific foot imbalance. Our Custom orthotics have the advantage of having been made from precise digital imprints of your feet so that they can give you custom support and comfort. What conditions can Custom Orthotics help? 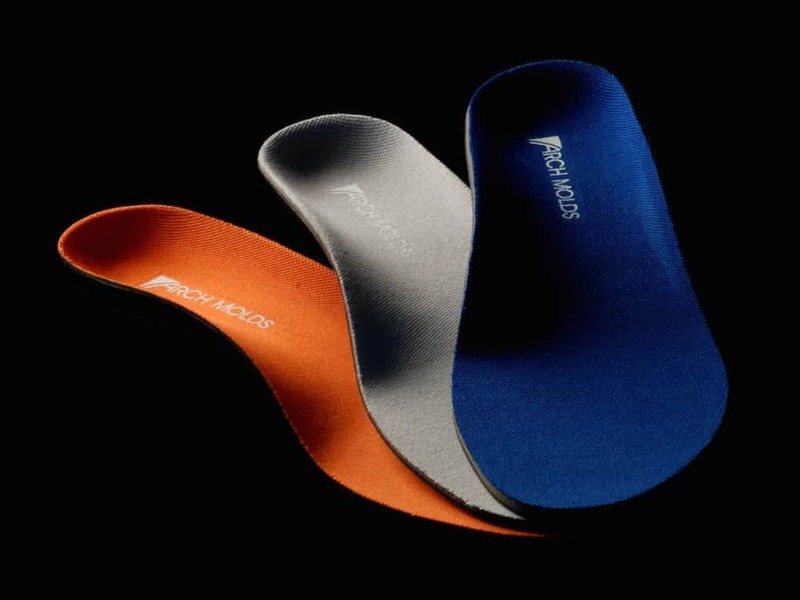 How are Our Custom Orthotics different from off-the-shelf insoles? Most store-bought gel and comfort fabric insoles provide only soft padding under the feet, but do not address the biomechanical and support structure of the feet, and are usually very short-lived. The customization process is what makes our Custom Orthotics true custom medical appliances for maximum support and function. Custom Orthotics are custom-milled to the patient’s exact specifications, and modified to the patient’s needs (including specially placed padding and extra heel or arch support where medically necessary), and before they are given to the patient, they must pass rigorous quality control testing. Yes. The majority of Canadian workers have partial or full coverage for custom orthotics through their workplace health care plans. OHIP does not cover these medical appliances. To help make insurance reimbursement easy, the patient is provided with a detailed itemized receipt, upon payment at the time of purchase, listing the health provider’s credentials and registration numbers, as well as the cost and date of the order. Additionally our clinic supplies a Custom Orthotics insurance letter which details all the specifications needed by the insurance company regarding the custom orthotics.